It is easy to forget these pictures are of the most vilified men in the world as they pose sweetly and “innocently” next to their family and children, but don’t be mistaken, they are not as sweet and innocent as they seem in these rare photos! This photo was found inside Colonel Gaddafi’s compound that was burned down. 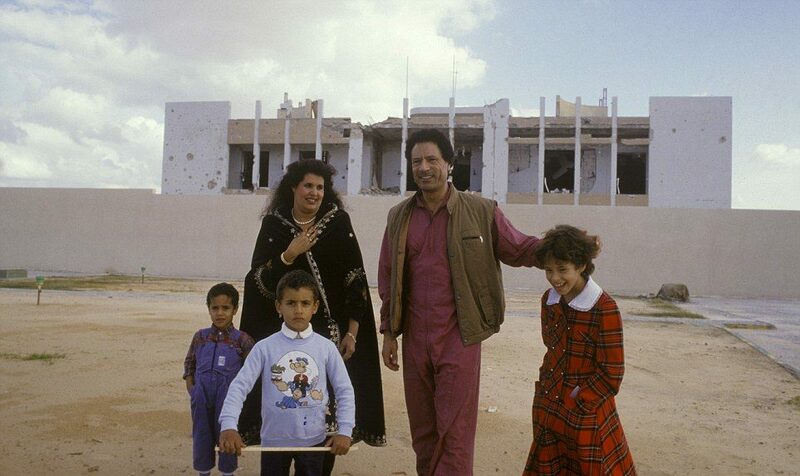 When he stands with his family and children, it is hard to understand how he is the same man who reigned Libya for 42 years with fear and horror. Here we can see the vast disconnect between his private life and his public image.